Heritage Week 2017 took place 19 -27th August. Our main event took place this year on Tuesday 22nd August 6.30pm. Woodlawn’s Water Features were the focus of our talks. 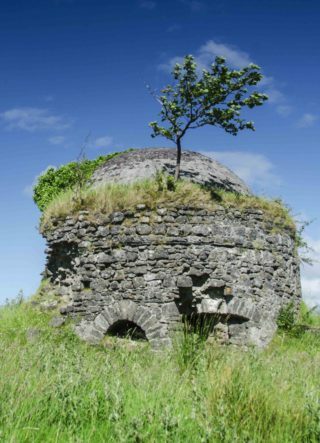 These included Killaan Holy Well Project and various water features along our Golden Mile. This event was supported by the Heritage Council, Galway & Roscommon Water & Communities Office and Galway County Council. 6.30pm Dr. Christy Cunniffe (County Galway Community Archaeologist) shall talk on Killaan Holy Well and other features at Killaan Graveyard (Site of medieval church). 7.15pm Catherine Seale (Galway & Roscommon Water Officer), Tom Seale (Local Historian), and Bernie Doherty (Archaeologist) shall accompany the group along the Golden Mile of Woodlawn. We focus on various water features associated with Woodlawn House. These include the ice house, lakes, rivers and bridges. 8.30pm Walk & Talk ends at Woodlawn National School. Light refreshments served. Woodlawn Church & Trench’s Mausoleum shall be open to the public for guided tours by appointment. Please call 0868528466 to arrange. Further information about this event and any other queries may be obtained by calling 086 1003888. Woodlawn’s Nature Trail is always there for your free enjoyment. Parking available at Killaan Graveyard, Woodlawn N.S and entrance to Woodlawn Woods. Please check Irish rail timetable for details of arrivals/ departures to/from Woodlawn Train Station.